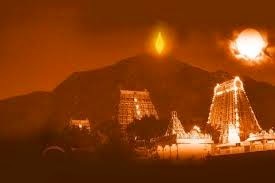 Hordes of devotees are expected to arrive for the Thiruvannamalai Deepam festival at Lord Arunachaleeswarar Temple at Thiruvannamali Temple. For the benefit of the devotees, 16 special medical centres are being established on a temporary basis in Thiruvannamalai. These camps are being located at Arivoili Poonga in Vellore Road, Anna Entrance gate, Tindivanam Road Railway Gate, Vettavalam Road, ALC Hostel, Thirukkoilur Road, Government Boys’ High School, Thiruvannamalai Police Staion, Thiruvannamalai Bay Gopuram, Tandarampattu Bus Stop junction in Manalurpettai Road, Government Arts & Science College, and Athiyandhal Temporary Bus Stand. Camps will be available at Base Annamalai Mount Governm, ent Primary School, and Srinivasa High School. The district administration and the health department have requested the devotees to avail the required medical service.